An Australian research team recently published the findings of an ambitious project to survey a patch of remote Cambodian jungle in order to map the ancient city of Mahendraparvata. 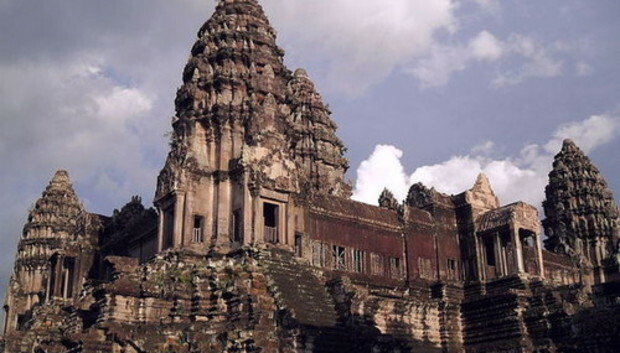 The team used lasers mounted on helicopters to peer beneath the dense foliage and was able to uncover roads, highways, and a downtown of a once-bustling metropolitan area that predates the nation's top tourist destination: Angkor Wat. The thing with nature is that unless it is battled on a constant basis, it tends to take over. And that is what happened to Mahendrapavata--it lost its fight with the jungle when it was mysteriously abandoned at some point in the distant past. To peer beneath the centuries of accumulated foliage and earth, the team shot laser pulses from a helicopter hovering 800 meters above ground and measured the reflecting signal. The technology, known as lidar, unveiled a 14-square-mile metropolitan area and previously undiscovered temples. "No one had ever mapped the city in any kind of detail before, and so it was a real revelation to see the city revealed in such clarity," University of Sydney archaeologist Damian Evans told The Guardian. "It's really remarkable to see these traces of human activity still inscribed into the forest floor many, many centuries after the city ceased to function and was overgrown." The same technology had been used to search for the fabled city of La Ciudad Blanca, thought to be hidden in the Honduran jungle.